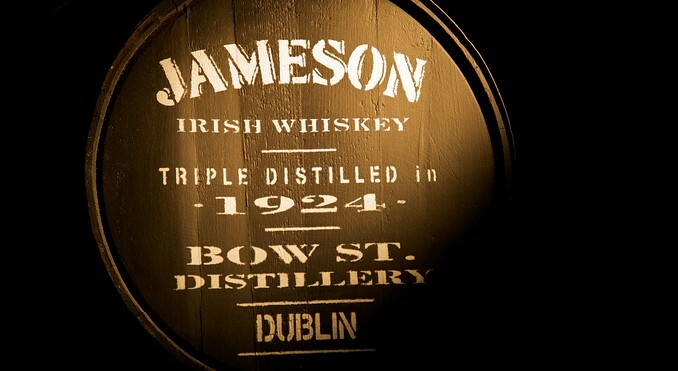 Whether arriving into the Port of Cork or Dublin Port, the Jameson Visitor Centres remain as one of Ireland’s must see attractions.Join us for a guided tour through the romantic past of Irish whiskey making, learn about the Angels Share, Triple Distillation and above all the smooth taste of Jameson Irish Whiskey. Open 7 days all year, the journey begins with an audio visual presentation followed by a walk through the recreated distillery and culminates in the Jameson Discovery Bar with a complimentary glass of Jameson and a chance to become a “Qualified Irish Whiskey Taster”. The 3rd Still Restaurant and JJ’s Bar within the Old Jameson Distillery offer guests a wide choice of refreshments with a daily a la carte menu to tempt you, or even a warming Jameson Irish Coffee .Our second visitor centre, The Jameson Experience , located in Midelton, Co Cork, is the ideal day trip when visiting East Cork.